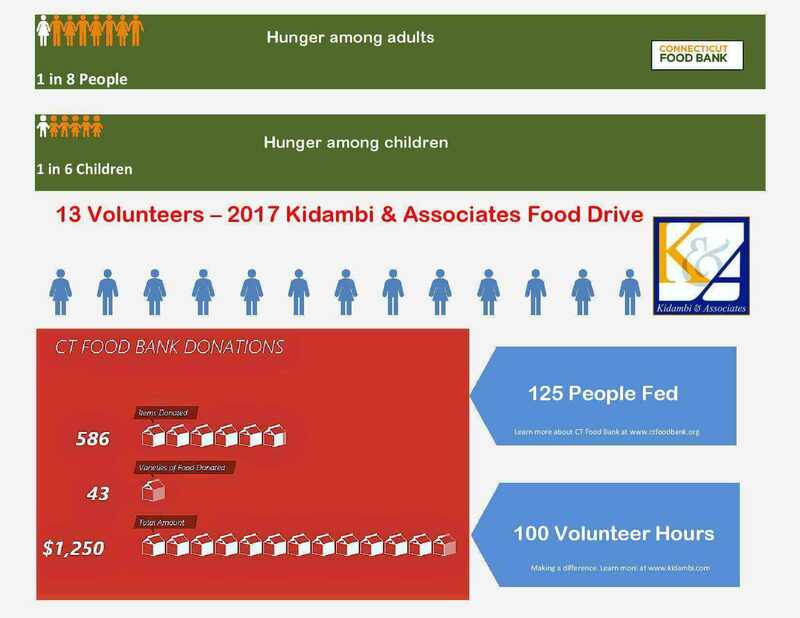 Community Outreach • Kidambi & Associates, P.C. 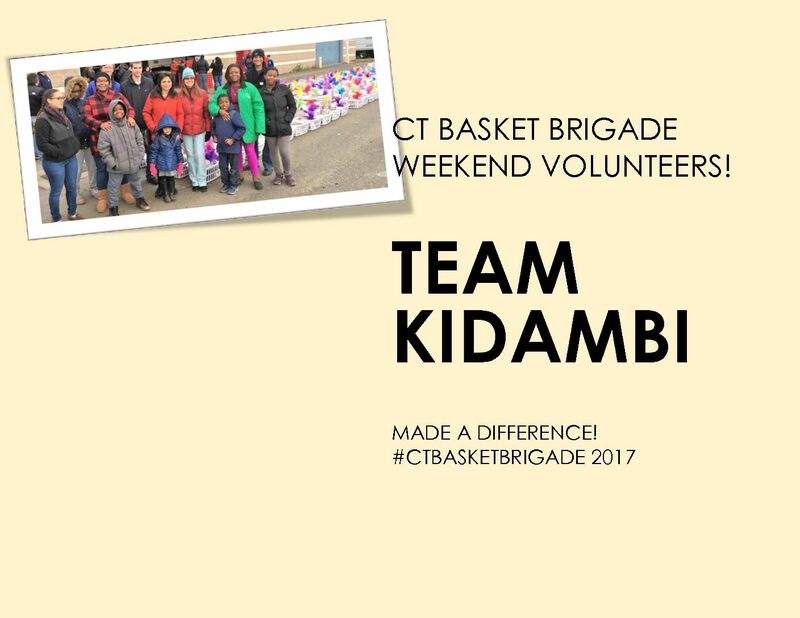 Kidambi & Associates, P.C. 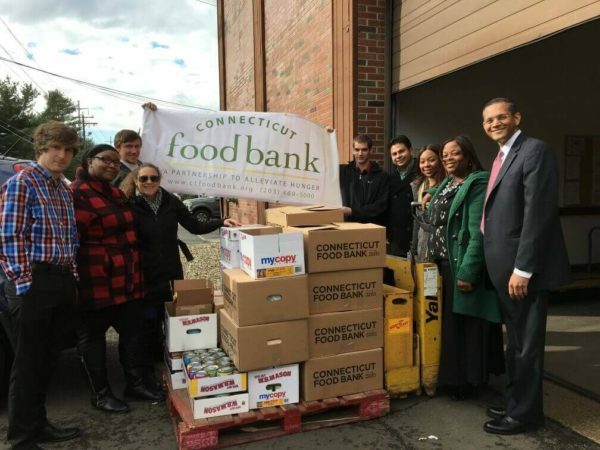 organized a food drive to donate to local Connecticut Food Bank to help with food insecurities. 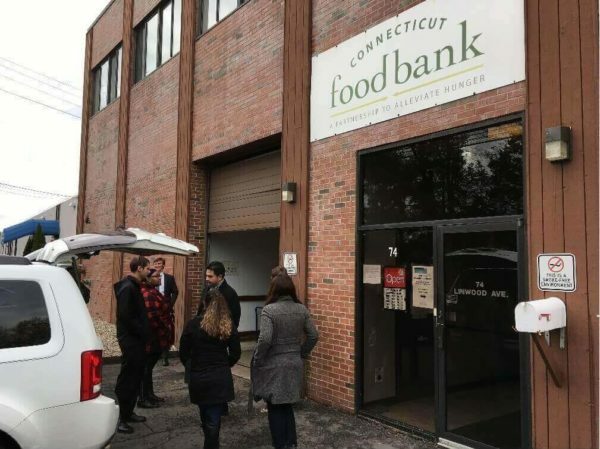 According to CT Food Bank, nearly half a million Connecticut residents struggle with hunger; more than 127,000 children are food insecure. These are people from all walks of life – children, working parents, seniors or people living with disabilities. 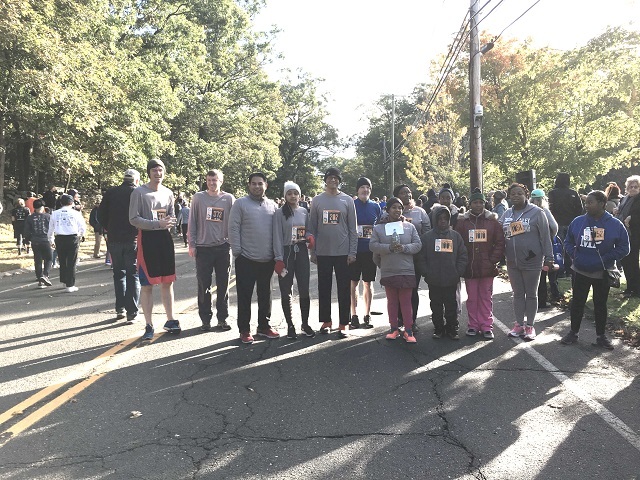 The Firm came together as a team during the holidays to address this problem and made a difference. 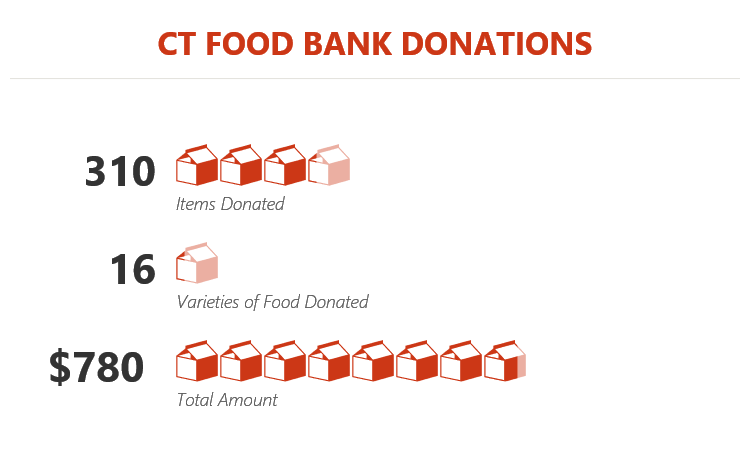 This year, we collected over 310 items, 16 varieties and over $780 of food and hand delivered them. We are thankful to be a part of this and hope to make a difference every year. Kidambi & Associates, P.C. 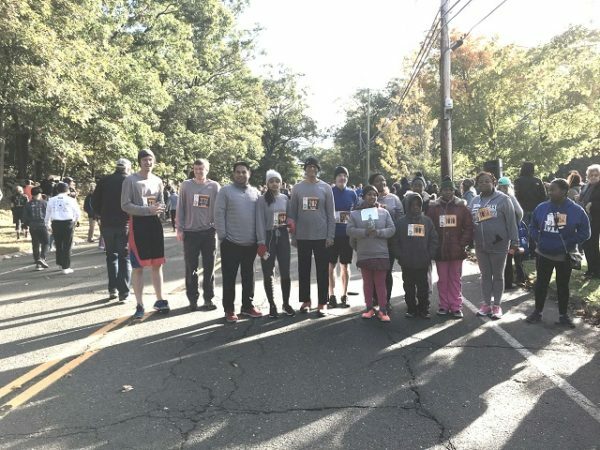 is a proud sponsor of the annual Great Pumpkin Classic 5k Road Race, Kids Fun Run and 2 mile Health walk in Trumbull. 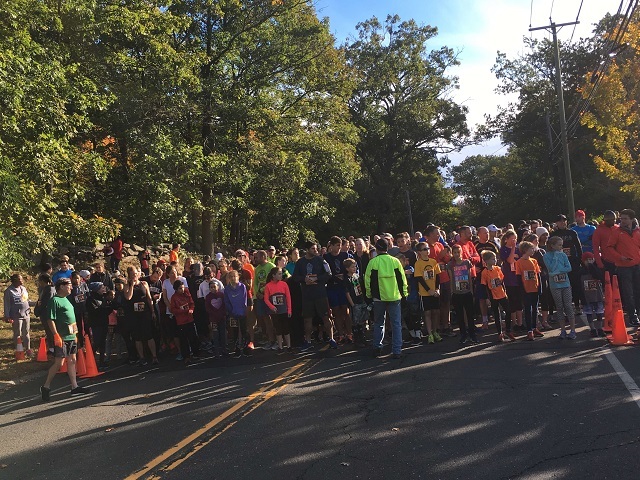 This popular event attracts runners and walkers from throughout the region and is considered one of the premier running events in the area, benefitting many throughout the community. Proceeds will be used to support the THS Scholarship Foundation, the TCC Grant Fund and the TCW Scholarship Program. We are delighted to support this worthy cause for many years now. Kidambi & Associates, P.C. 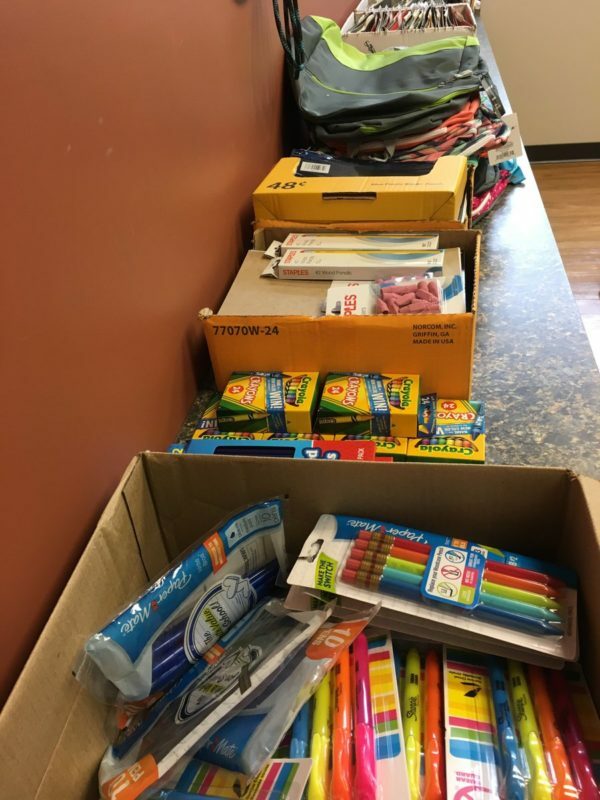 is very happy to help out the local community by donating back to school supplies. This year, we provided backpacks full of school supplies for a local family that lost all their belongings in a fire. 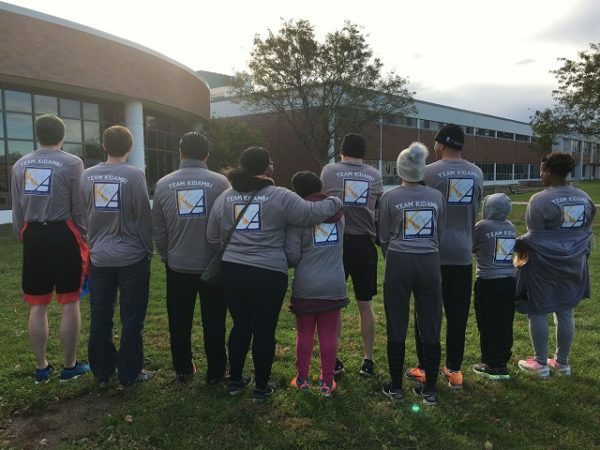 Kidambi & Associates, P.C. 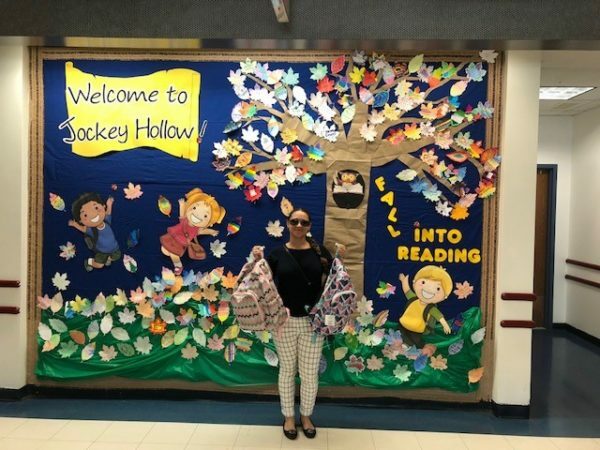 is very happy and proud to help out the local community by donating back to school supplies every year to various schools in need. This year, we provided 17 Backpacks filled with school supplies for the children at Steps Christian Academy in Hamden, CT.
Kidambi & Associates, P.C. is very happy and proud to help out the local community. 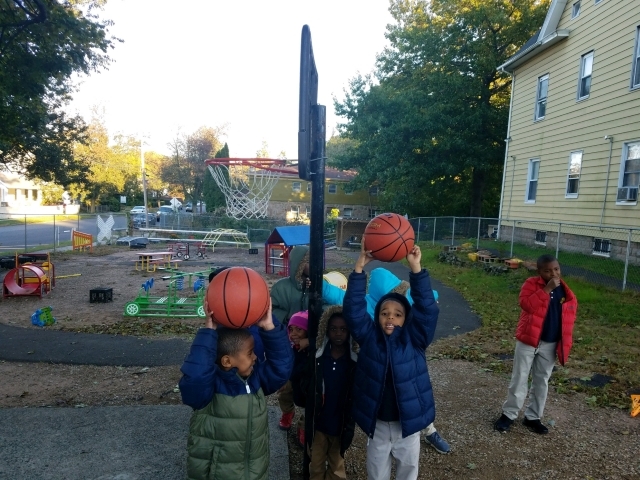 This summer, we fulfilled the wish list of Harris & Tucker School in New Haven, CT by providing them with an in-ground basketball hoop geared for children ages 3-12. 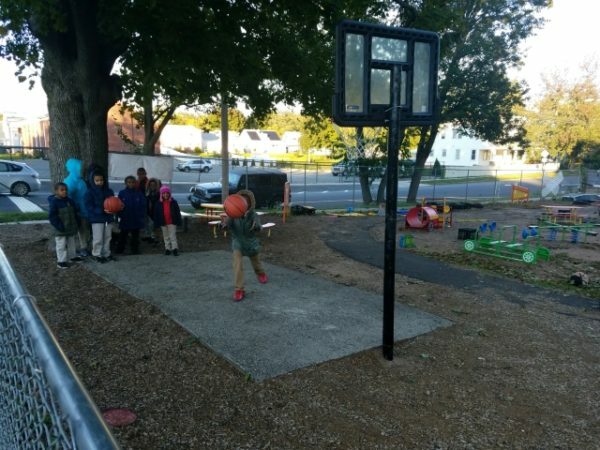 Harris and Tucker School is dedicated to meeting the needs of families while combining early learning and education with high quality child care for children ages 6 weeks through 12 years. Kidambi & Associates, P.C. 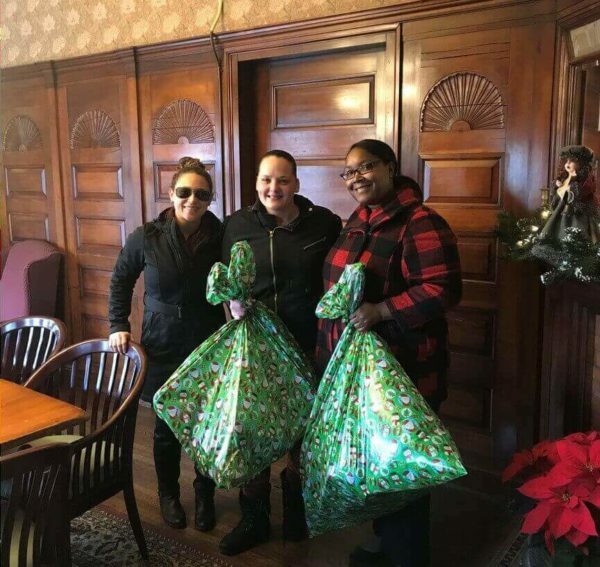 is very proud to be a part of Sterling House of Stratford Adopt a Family Christmas Program. Every year, we adopt a family of 2 children to buy toys & clothes for Christmas. 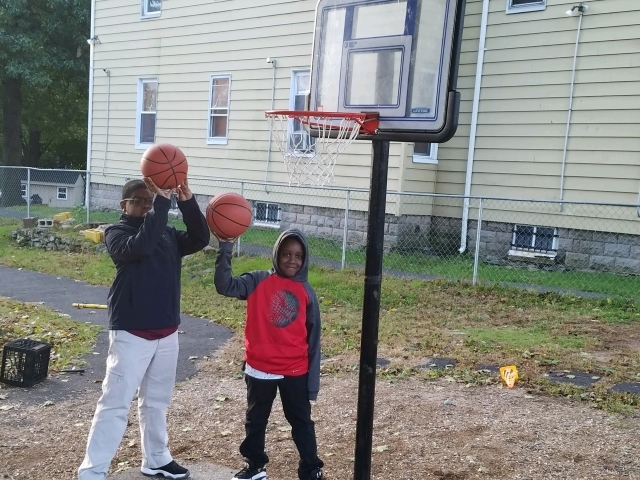 What a treat to be able to put a smile on their faces! Kidambi & Associates, P.C. 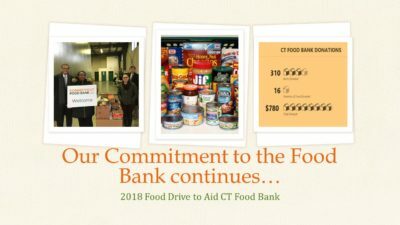 organized a food drive to donate to local Connecticut Food Bank to help with food insecurities. 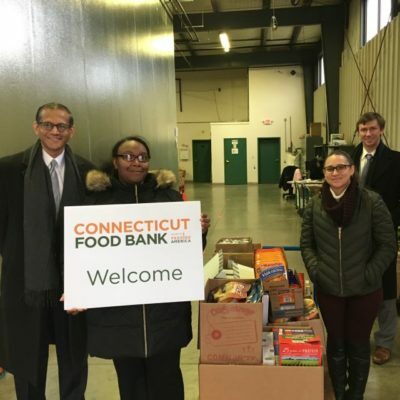 According to CT Food Bank, nearly half a million Connecticut residents struggle with hunger; more than 127,000 children are food insecure. These are people from all walks of life – children, working parents, seniors or people living with disabilities. The Firm came together as a team during the holidays to address this problem and made a difference. 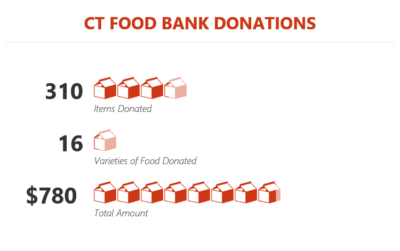 We collected over 586 items, 43 varieties and over $1200 of food and hand delivered them. 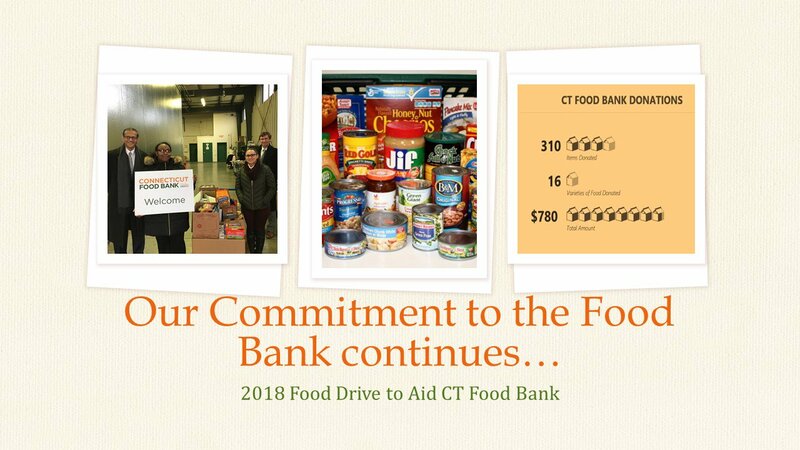 We plan to renew this effort annually and remain engaged with CT Food Bank. Kidambi & Associates, P.C. 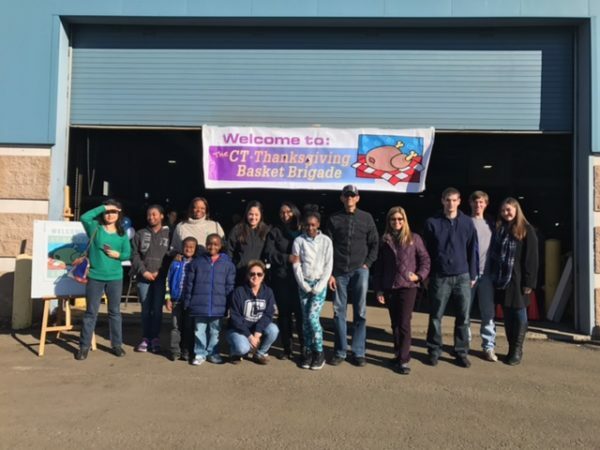 is very proud to be a part of CT Basket Brigade where we volunteered to assemble baskets for families who would otherwise not be able to celebrate the important Thanksgiving Holiday. Kidambi & Associates, P.C. is pleased to participate in a toy drive for the Trumbull Pediatric Hematology and Oncology clinic. The kids look forward to these treats after their grueling Chemotherapy treatments. We also collected packages of new socks to benefit the children undergoing treatment. Kidambi & Associates, P.C. 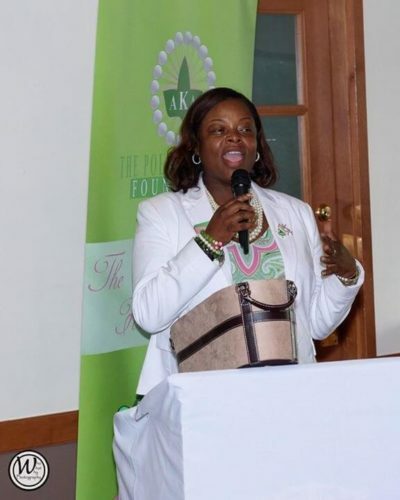 is proud and honored to support the Polished Pearls Foundation that supports the community by, among other things, offering programs to enrich the lives of women and girls of all ages through ASCEND program and the Girls Global Leadership Program, providing scholarships and book grants to children from Fairfield county pursuing higher education, healthy financial planning workshops, provision of seasonal wraps, and food drives. 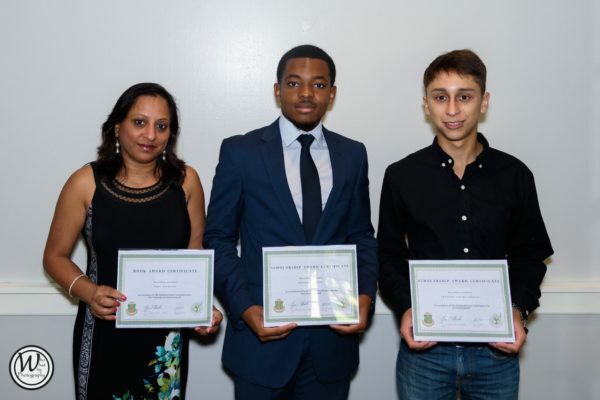 We offered scholarships to three well-deserving students from middle and high schools. Kidambi & Associates, P.C. 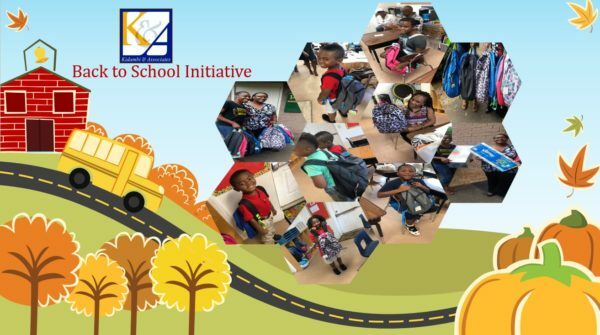 is very happy and proud to help out the local community by donating back to school supplies. 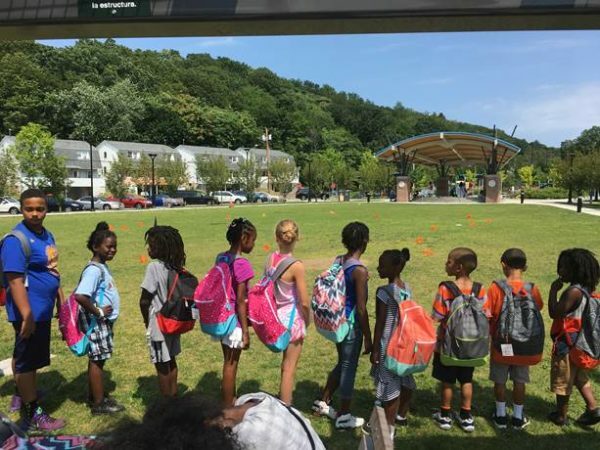 This year, we provided 16 backpacks full of school supplies for the school age children at Harris & Tucker School in New Haven, CT. Harris and Tucker School is dedicated to meeting the needs of families while combining early learning and education with high quality child care for children ages 6 weeks through 12 years. Kidambi & Associates, P.C. is very happy and proud to help out the local community by collecting school supplies for McGivney Community Center, Bridgeport. 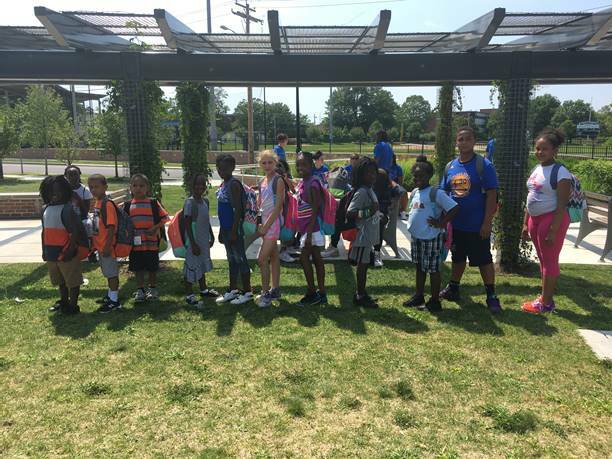 We collected and donated backpacks filled with school supplies to help children in grades K-12. 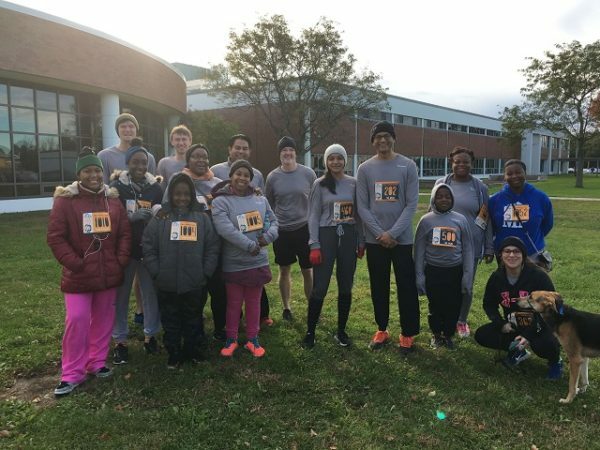 We are happy and humbled to support the great cause by taking part in Run for Hope 5K that helps fight against human trafficking. The Yale Mock Trial Association hosts its annual Bulldog Invitational for high school students every year. Attorney Kidambi and Attorney Blackburn volunteer their time to judge this popular event. Kidambi & Associates, P.C. 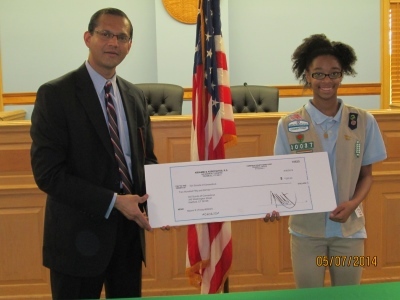 sponsored an Essay Contest for Girl Scouts® to give them a platform to showcase their writing skills. 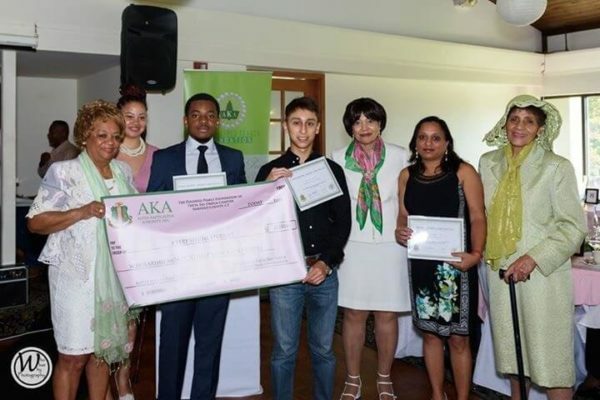 The winners received certificates, medals and cash prizes to be used towards field trips that provide enrichment and educational experiences. 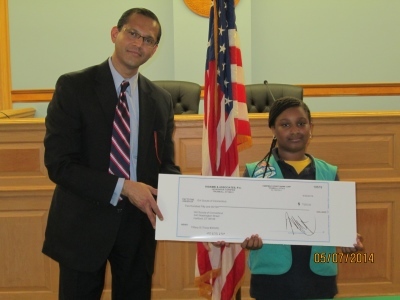 Read the press release in Trumbull patch.